Welcome to another Cross Canada Blog Hop! If you arrived here from Nicky’s Timeless Cottage, you’ve come to the right place. If you are starting here at my blog, just keep hopping until you get back and if you’d like to literally hop across Canada from east to west, start at Michelle’s blog. If you get lost along the way, Michelle will also have a full list of hoppers. Our theme this month is April Showers Brings May Flowers. I’m sure you agree with me when I say I can’t wait for those flowers! Our tulips are starting to grow and I am so looking forward to seeing those buds. Here is my flowery project. I really liked the splatter look on my last layout and so, I got smart and did the splashing before I put everything down. To be honest, I desperately wanted to use the new Blossom paper, but it just didn’t match the photo, so here it is, a layout with only cardstock and I’m really happy with how it turned out! I changed my mind so many times on this layout! I finally used my Brushstrokes stamp set, but you can hardly see it! I guess that’s just how it goes. Hop on over to Sheri’s Just Scrap It blog and check out what she’s created and if you’d like to see my whole supply list, it’s below. 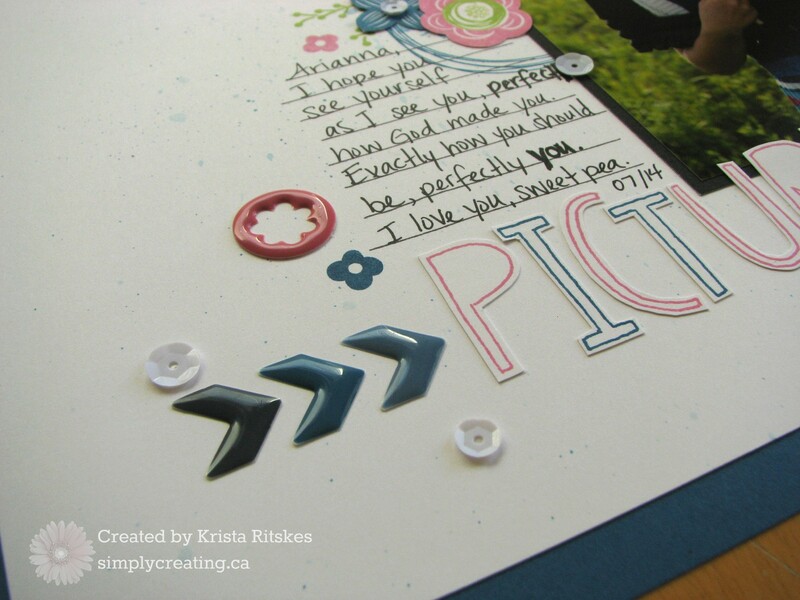 Come back on May 15 to see our projects focused on the CTMH How-To scrapbook programs. Krista, I really love this layout. I love the look of just cardstock and the splatter effect is perfectly executed. fun Layout! love the simplicity! 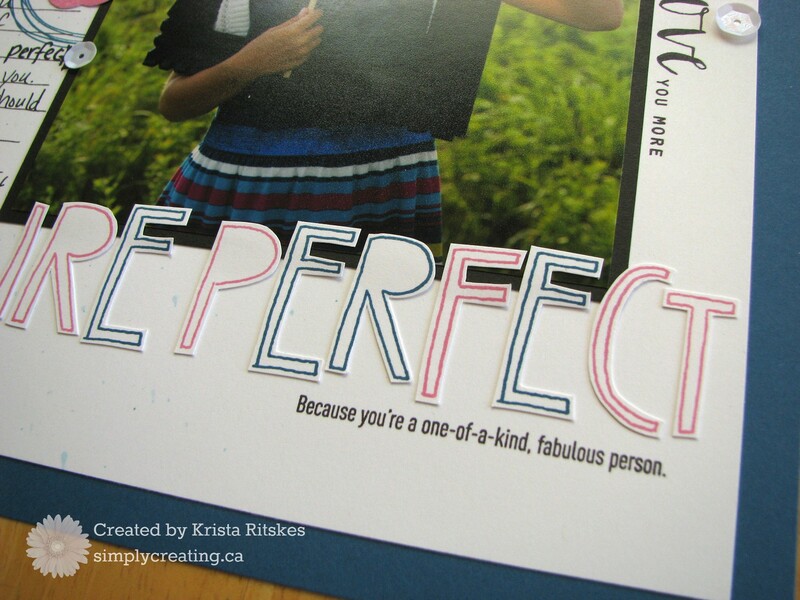 Gorgeous layout Krista! I love how you used several different stamp sets! Thanks for sharing! 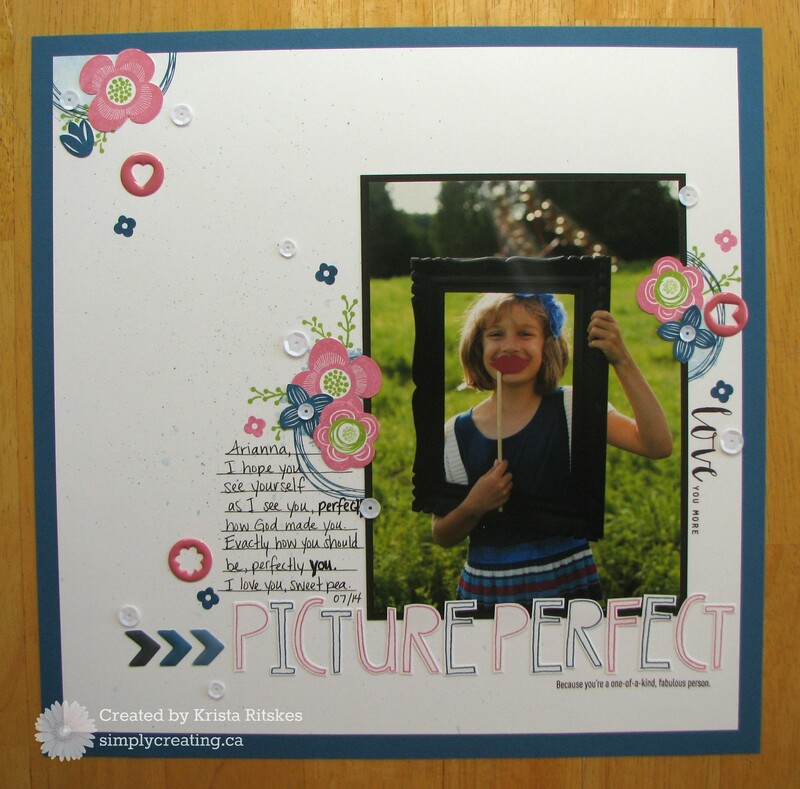 Gorgeous layout….I think you should submit it to SCT or Canadian Scrapbooker!! 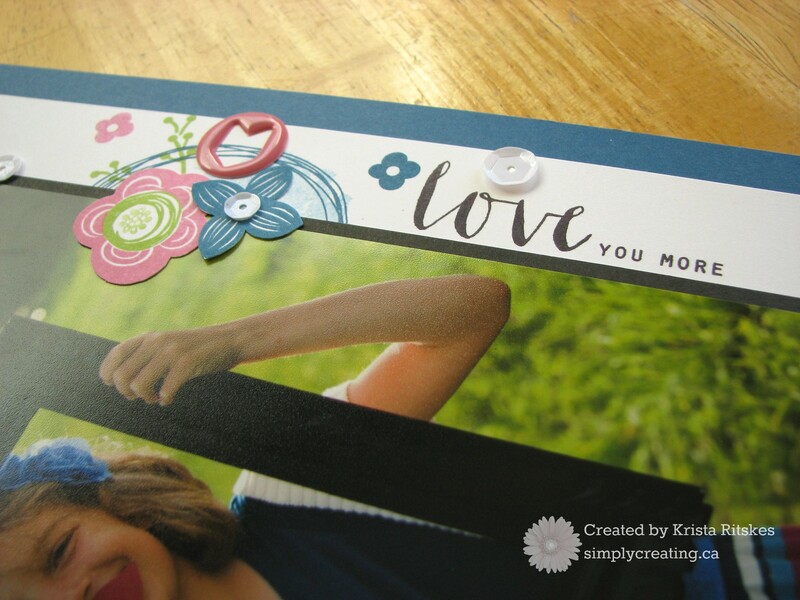 Beautiful layout Krista, and your daughter is so cute!